SharePoint 2016, as many IT professionals will soon find out, is taking a “cloud-first” inspired approach with its fast-approaching release. This means that it'll be able to both consume information from, and provide data to, Office 365 cloud products, such as Office Graph, Delve, and so on. Let’s consider, though, that IT professionals won’t be your only pool of users – in between your experienced IT staff and your ‘rank and file’ daily users are a special group of users that have their own set of demands: business users. These business users are an interesting bunch. They typically require less support than people that aren’t comfortable with IT, but (and this is a rather big BUT) you’ll find they may start asking more intricate and challenging questions, and expecting the answers. These users will lean more on technology – mail merges, intricate spreadsheets, client side relational access databases, and so on – for a range of complex tasks. When these tools fail to work, or don’t provide abilities to manipulate data in a way that’s required, business users will understandably get frustrated. These limitations and frustrations will be experienced regardless of the industry, company, or sector a business user is in. SharePoint, as part of the wider Microsoft toolset, has also been relied upon by many business users to meet their tasks. Each version of the tool has provided useful new features, ranging from the introduction of content types and self-service site creation in SharePoint 2007, to Office Web Applications and other Application Services in SharePoint 2010. Each of these (and more) have provided extra utility abilities for power users to work the way they want. And now, with SharePoint 2016 upon us, we think it’s prudent to keep one step ahead of your known trouble-making business users (it’s a love/hate relationship, right? ), and to think of the new tools and aspects that they may want to know about. SharePoint list limits are a well-known source of frustration. Ever had anyone complain about that 5k limit in a view? Fortunately, this is now a thing of the past. You’ll also see more index items in your searches, as well as a higher list capacity. Building on what we mentioned earlier, regarding self-service sites, many users find this a complicated process to get a site exactly as they’d like. A new feature allows users to clone an existing site, eliminating the need to set up configuration and altogether speeding up the process. This is a big one! A much sought-after addition, users can now surface all search results in one search stream, rather than individual SharePoint on-premises and Office 365 searches. This should prove a big boost for productivity, especially for companies making the move to the Cloud, and we expect this change to be a very well-received new feature. Microsoft have dubbed this as “hybrid search”. The evolution of OneDrive for Business continues. Currently, there are various places to follow content through Delve, Promoted sites, and the rest. The new OneDrive Site Folders aims to be ‘location agnostic’, and will show you items regardless of where they are stored. The new user interface (UI) for SharePoint 2016 sees the introduction of the Office 365 app-launcher (which looks a lot like a waffle), and the Office 365 top bar. 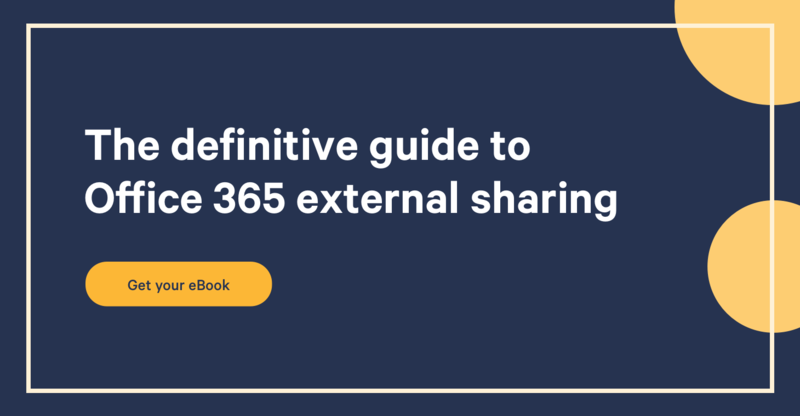 This aims to harmonize the SharePoint on-premises look and feel with the current Office 365 appearance for familiarity and ease-of-use. No longer are your users going to be limited to 2GB file uploads – the single file limit is now 10GB. The underlying SQL database limits have also been raised, offering a more robust and resilient alternative to file shares. Bill Baer, SharePoint Senior Product Manager, has been quoted (frequently!) as stating that SharePoint 2016 has been built “from the cloud-up.” This means ’16 will take advantage of design and infrastructure decisions aimed to maximize uptime and reliability. Additionally, this infrastructure is designed to work with cloud services, which themselves need to be extremely reliable to be considered a viable business solution. We've invited him a while back to unveil SharePoint 2016 and the vision behind it. A definite must-watch! If any of your business users have been familiar with the product since 2010, ask them if they remember the mobile view from those days. If they tell you it was horrible, they’d be correct. 2016 aims to correct this; with a mobile-first view on devices that presents tiles and menus, rather than plain text. It’s also touch responsive. Another subtle but powerful change is the ability to give an item its own, ever-present link. SharePoint 2016 offers a feature called Durable Links – this intends to give a document a permanent link regardless of it being moved, renamed, edited, or modified in some way. We’ll close out with a big one, and that’s a much-improved discovery and compliance option. Better cloud integration and connectivity can make some users worry about the potential of data loss. SharePoint 2016 now includes a robust and powerful Compliance Center that provides eDiscovery templates and queries. Microsoft’s commitment to various standards (ISO27001 and EU Safe Harbour in particular) reassures us that these tools will be well-tested and thought through. What we think you’ll see with SharePoint 2016 is that (power) users ultimately don’t care about the tech behind SharePoint – they just want it to work. The best sign of a service working as it should be is the people behind maintaining said service getting ignored. For instance, how often would you praise a train driver for arriving at a station on time? You probably wouldn’t, right? It’s no different with business users. Keeping ahead of the technology curve and being able to guide your users to new, interesting, and powerful ways to do their jobs is part and parcel. Inclusive in this is an awareness of any boundaries that they find, and any problems that they need resolved. So, we need to be informed and ready to guide them. Your train to work might be late, but that doesn’t mean we, as service providers, have to be.